A couple of weeks ago I shared the four areas in my life where I’m making a shift to safer, cleaner and more natural products. One of those areas is beauty. Today I want to share some exciting news – why I joined Beautycounter as a consultant. Keep reading for a kickoff promotion that I’m offering to all of you! 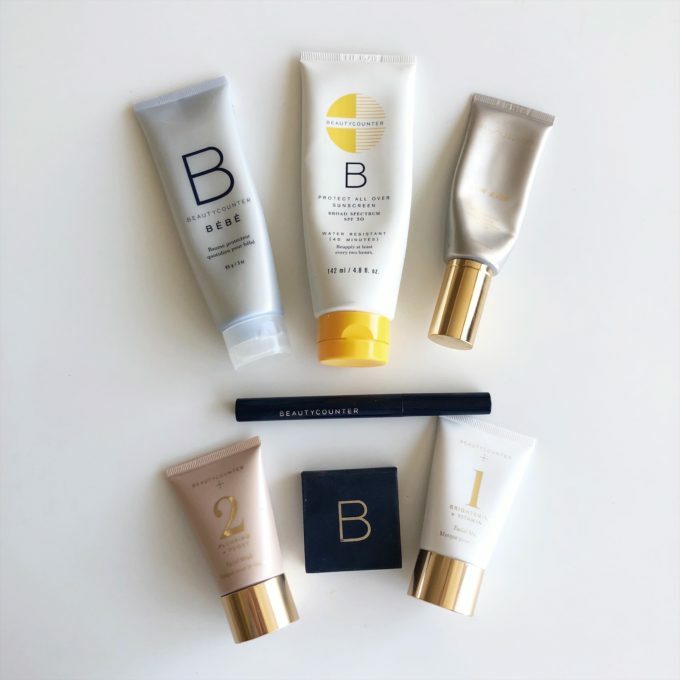 I was introduced to Beautycounter when my friend Kia joined the company as a consultant. I saw her posts on Facebook and was intrigued enough to click over to their website. 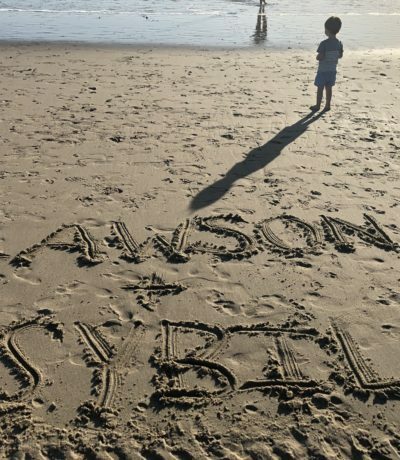 Lawson was around six months old and I had been on the hunt for a sunscreen that was safe for him. 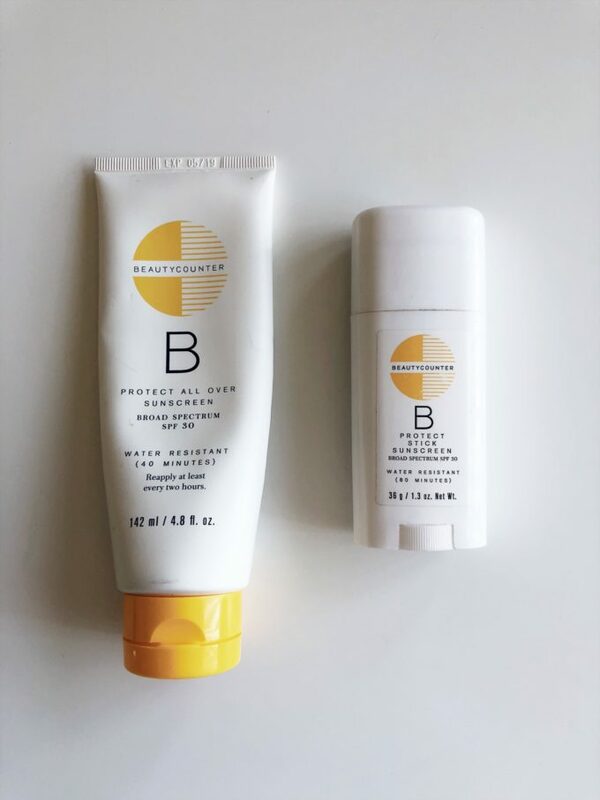 After trying various brands that either left a white residue or, worse yet, simply didn’t work, I decided to give the Beautycounter sunscreen stick a try. It has a EWG rating of 1 (the lowest rating on their scale). I was immediately hooked. The stick was so easy to throw in my diaper bag and made application on the go a cinch. I tried a few other products, which only made me want to try more. I felt good about switching to safer items for both me and my family. Fast forward a year or two and I found myself recommending more and more Beautycounter products. I was hesitant to join as a consultant. I don’t see myself as a sales person and am pretty introverted by nature. I had a negative view of direct marketing, or MLM, companies. I enjoy trying different brands and didn’t want to limit my beauty and skincare to one brand. Lastly, I didn’t want any of you to think I was only mentioning Beautycounter products because I was trying to sell them to you. 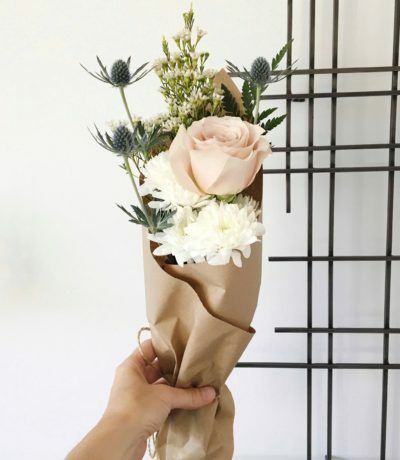 After a lot of thought, I ultimately decided to join Beautycounter as a consultant because I believe in the products and, more importantly, their mission. A little background on personal care products in the United States. The US has not passed a major federal law to regulate the safety of ingredients used in personal care products since 1938. This is crazy to me. That’s the last 80 years! Beautycounter has created a list of over 1,500 harmful chemicals or questionable ingredients that they never use in products. This includes 1,400 banned by the European Union plus additional ingredients screened by Beautycounter and found to be a concern. That alone is pretty impressive (you can view the list here). For reference, the United States has only partially banned 30 to date. A few promises from me. I promise I won’t strictly promote Beautycounter products. As I mentioned above, I enjoy trying different brands and will continue to share my go to products regardless of company. I also promise I won’t turn this space into a beauty blog. Wellness is a passion of mine, which I will continue to share. 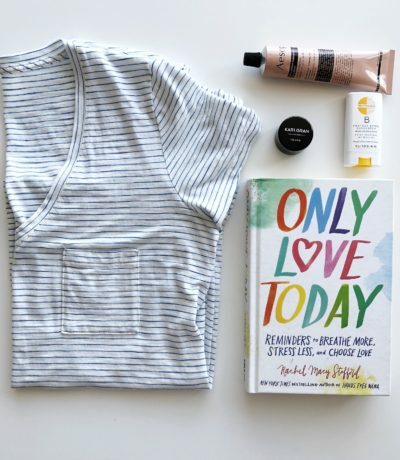 To celebrate joining Beautycounter, now through February 9th I’m offering a free stick sunscreen for purchases of $50 and above (before taxes and shipping)! It felt only fitting since the sunscreen is the reason I fell in love with Beautycounter in the first place. If you need help getting started, a few of my favorites include: the flawless in 5 set, plumping + peony mask, dew skin tinted moisturizer and sunscreen. Also, through February 1st, all of the skincare regimens have special savings of $30-45 off the normal prices. And if you’re heading to a baby shower, this baby bundle would make a great gift. Please note if you place an order, the sunscreen will ship separately so don’t worry if it isn’t in your order. :) There’s a 60-day return policy so if you try a product and it doesn’t work for you, you can return it for a full refund. If you’re interested in learning more about Beautycounter, the products or why I joined Beautycounter, don’t hesitate to reach out to me at erica@luvinthebubble.com. You can also find me on Instagram and Facebook!